Kids. What would you do without them? Well John Yates can answer that one. Enjoying driving his beloved Porsche. But he can’t because he sold it. Traded it in so he could buy a Ford Fiesta for his son Rhys. You see it was the car Rhys has set his heart on. The car of his dreams. So dad being dad did the thing that parents do and put his son first and bought him his motor. Of course it isn’t exactly a standard Fiesta, that John could have stumped up for. This version is broadly based on the 1.6 turbo Ford Fiesta ST road car, but the guys at M-Sport have worked their magic on it to bring it up to R5 spec. Apart from the obvious and expected work to boost performance, the single most significant difference between the R5 and the car that it’s based on is that it’s four wheel drive. And that for a wannabee WRC driver is an all important step up on the road to the ultimate level of competition. So John is Porscheless but Rhys now has the wheels beneath him to go out and compete on equal terms in the MSA British Rally Championship. 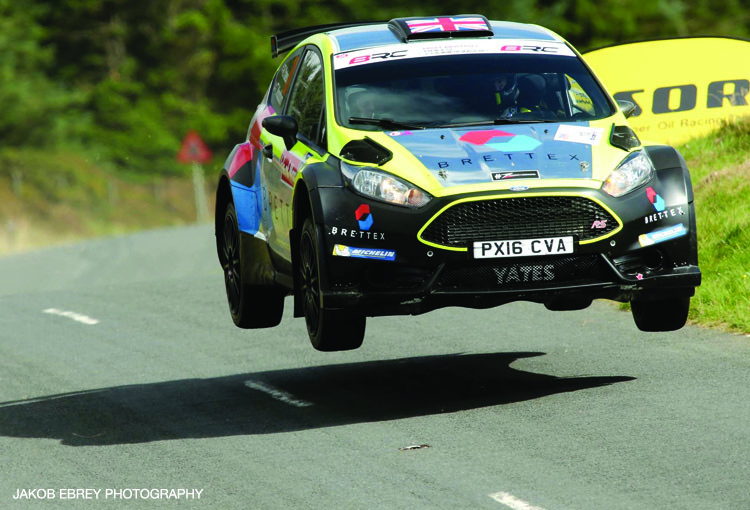 The BRC is very much a staging post for drivers with aspirations for bigger things. After a strong start in his first season right now Rhys is getting down to his second in the BRC. And he’s put himself in a good position by having one of the most experienced co-drivers in the series in the right hand seat. Carl Williamson. Carl started co-driving back in 2001 making his debut with the Finn Jari-Matti Latvala. 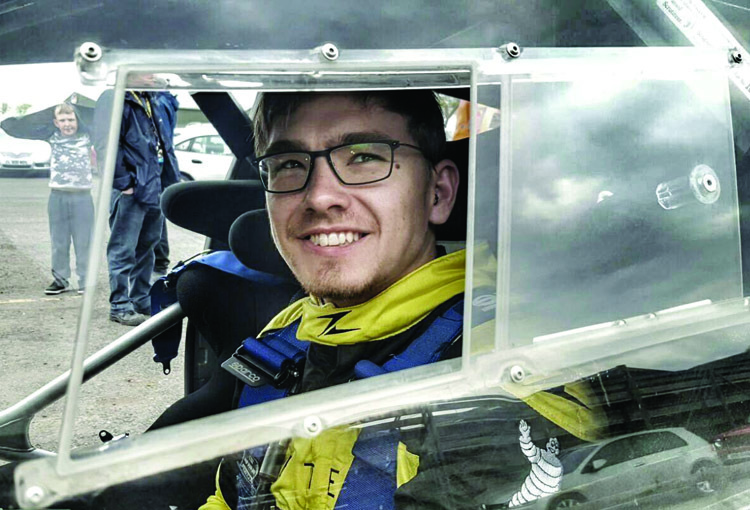 Since those early days he’s competed at all levels in the sport including WRC. Invaluable experience which he is now passing onto young Rhys who at the tender age of 23 has a bit of catching up to do on his team mate! Back to the action and the BRC. Over the years five of the series champions have gone on to become World Rally Champions so success at this level can really provide a springboard into the big time. Competing over 7 rounds, one of which is the legendary Ypres Rally in Belgium and which Rhys competed in a few ago and netted a top five finish. While this is only his second season of the British Rally Championship, Rhys is sitting at equal seventh in the series which augurs well for an improvement on his maiden season, but first he’ll have to overcome the challenges of the Nicky Grist Stages in Wales, then over to Ulster and then finishing with the final round of the series on the Isle of Man Rally. 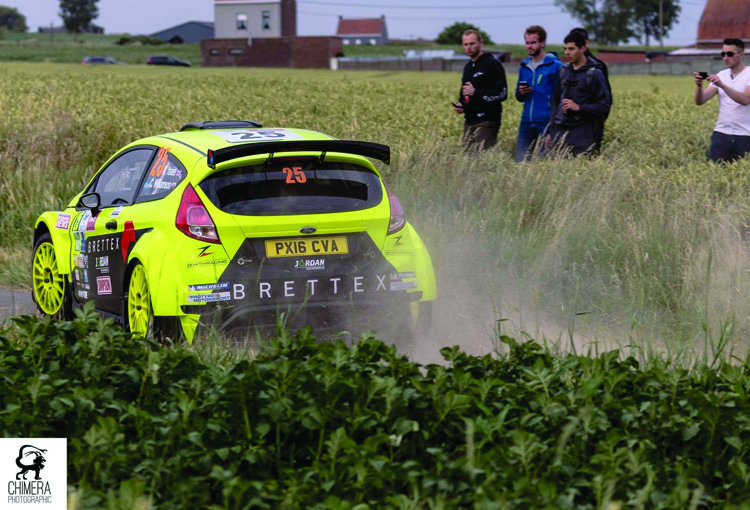 For a lot of his fellow competitors these are familiar hunting grounds so the boys in the Brettex Fiesta R5 will have their work cut out, but they both relish the challenge. Rhys, though obviously ambitious, is also realistic. He knows gaining experience and building confidence will bring him the speed that could propel him to the top and we’ll be following him on that journey. Mind you judging by the pictures of Rhys in action, looks to us as if the speed is there already! For updates on their progress, visit the team’s website or check into their facebook page.